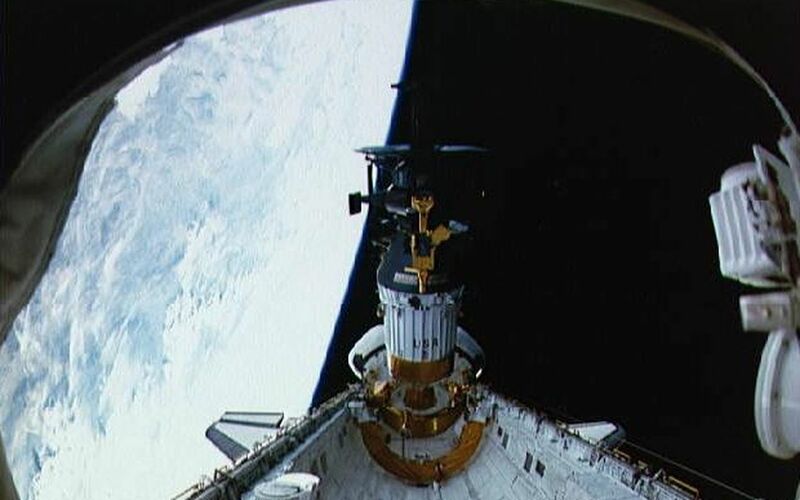 The Galileo spacecraft and its Inertial Upper Stage (IUS) booster were deployed from the cargo bay of STS-34 Atlantis. 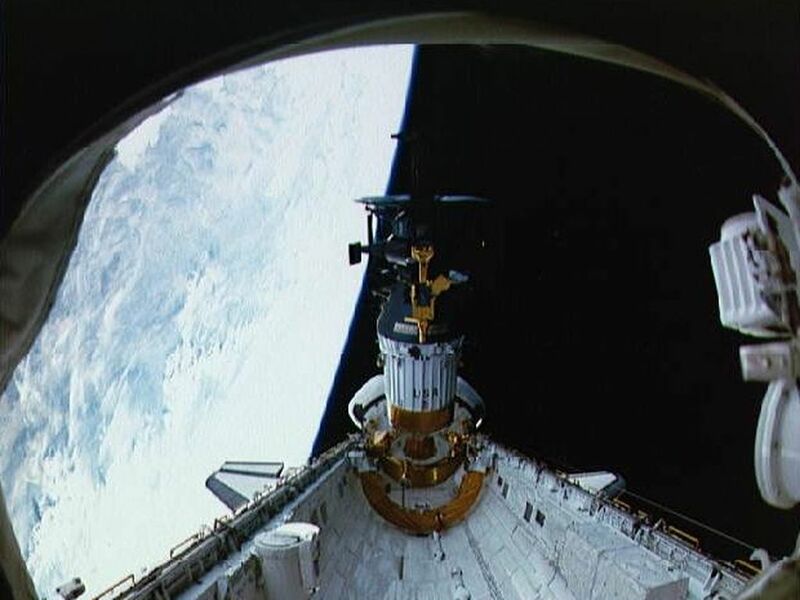 Deployment occurred at 7:15 P.M. EDT on October 18, 1989. Beginning an hour after deployment, two rocket stages of the IUS fired in succession. Galileo separated from the IUS' second stage at 9:05 P.M. and began its ballistic flight to Venus for the first of three gravity-assisted flybys, which will take Galileo to Jupiter. This image and other images and data received from Galileo are posted on the World Wide Web, on the Galileo mission home page at URL http://www.jpl.nasa.gov/galileo.